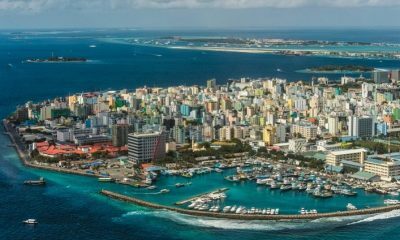 The opposition social media conjoined with numerous international media institutions that are “in their pockets” have done a pretty handy job in portraying the Maldives as a messed-up place. A place in which peace and unity no longer exist. However, the truth is far apart. Life is as normal as it can be on the sunny side of life. Despite the state of emergency being enforced in order to protect the peace and welfare of all citizens and the country, following the events that unfolded in relation to the Supreme Court Order No. 2018/SC-SJ/01, issued on 1 February 2018, the everyday functioning of the small island nation prospers at its best. During this time under the State of Emergency, certain rights will be restricted, but the general movements, services and businesses shall prevail as usual. The tireless efforts by the Government under President Abdulla Yameen Abdul Gayyoom’s Administration to preserve the stability and development that has been brought will most certainly guarantee the smooth ongoing of all activities in the everyday lives of the Maldivian people and all others who choose to reside in the Maldives for whichever reason they might prefer. Be it the educational sector, the economic ventures or the tourism industry; all is fine in this tiny paradise on earth. Even with all the political chaos that has been brought upon us, there is no question that the nation builders of the future will be delivered the education they very much deserve. There is not a shred of doubt that the mothers and fathers that have to put in an honest day’s work to provide for their families will be given the chance to do so. And there will most certainly be no halts in any developmental projects that are being fast-tracked under the much-appreciated strategies put into effect by the current administration. “We will gladly give our lives in defense of the independence, peace and unity of our nation”, echoing through the thick walls of the Integrated Headquarters of the Maldives National Defense Force, Bandaara Koshi, came out these words as the brave officers of Maldivian National Defense Force and Maldives Police Service renew their pledges as the rise of the sun wake up the citizens of Maldives each and every day. So, throw at us humongous challenges, chock full of problems and tremendous pressure, drop us on our knees with the harsh rulings of a corrupt court, and we will still stand up straight with our heads held up high with our sights dead straight on the bright future we hope to achieve.